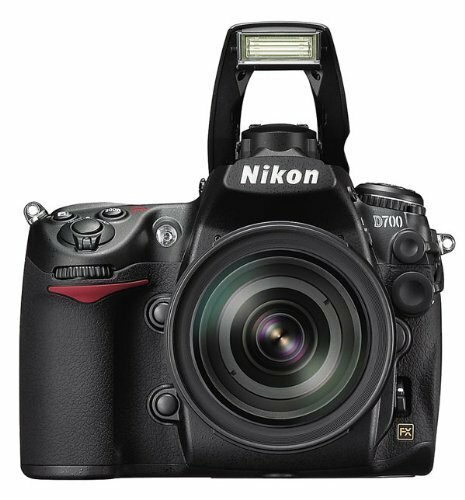 Handling agility fused with Nikonâ€™s 12.1-megapixel FX-format CMOS sensor, assures professional image quality with low-noise, high-ISO performance. Low light capabilities, full frame sensor, clean high ISO settings, button placement, depth of focus, beautiful screen, customizable menus, focus tracking, metering. I don't use video, but I can see that some people might see this camera not having video capabilities as a weakness. Otherwise, I see none. Although I do think that it would have been cool if this camera had 8fps without the battery grip, and dual card slots. Dual card slots would have been awesome. I dropped the hammer. I cut ties with DX (crop sensor). And I did it. I went full frame. I could tell you about the high ISO capabilities, the larger view finder, the low light ability, the amazing depth of focus, the fast response time, the well place buttons, the user friendliness, the customizable menus and buttons. But I won't bore you... unless I just did. Hold this camera and prepared to have your mind BLOWN. Haven't needed customer service yet. The camera is brand new. If it's anything like my D300 or my D90, I won't need customer service. Compact- for carrying into the backcountry. If it has any, it would be that it doesn't shoot as high FPS as the D300, but this is made up for with the fact that it shoots 14-bit RAW at full speed 5 FPS. I've owned this camera since March and I have to say that after using the D200 and D300, this is by far the best digital camera that I've ever owned. As a full time pro, I need gear that works- i.e. that gets me the shot and stands up to abuse. Since I bought it, the D700 has become my number 1 body- it's my Go-To camera for almost every shooting application. It's ergonomically well designed, feels even better than the D300 in my hands, has high ISO sensitivity, 14-bit RAW capabilities and it has the FX sensor so my wide angle glass is wide angle again, after years of using DX sensor cameras. 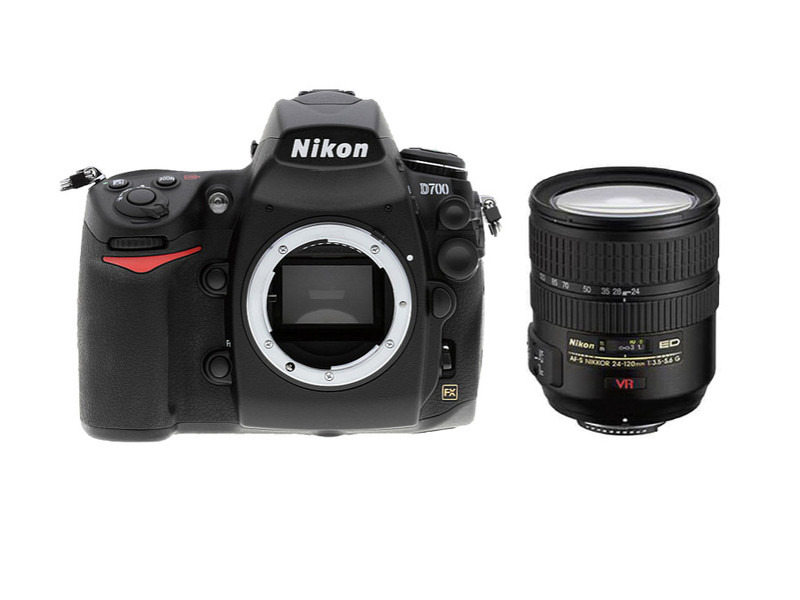 The best all around pro quality DSLR that Nikon has made to date. Awesome body for pros or high end enthusiasts who want a camera that does the job and stands up to the test. Never had any issues with this camera, although I've sent gear back to Nikon to be fixed and they did it in a timely manner. Full frame - The D700's is not technically a true 3/2 radio like the 35mm camera's 36mm x 24mm format, but the sensor is really close, supposedly 36mm x 23.9mm (Did someone screw up the design requirements..? It sure makes you think so). I really missed capturing wide angles - getting the D700 made me realize the grass really * is * greener on the other side. Being mostly a landscape photographer, I can now get the whole scene in without having to walk backwards to the edge of the street (or sometimes a cliff). Glad to be back in the full frame world. Autofocus - Simply better than previous cameras I've used. I would call this incremental improvement because it can still get confused on very plain white subjects, but it's good. The tracking is also much better. I trust it enough to use it with sports and model shooting where I couldn't trust my previous DSLR. Dynamic Range - Digital cameras have big time problems with dynamic range, causing burn out in bright areas and dark-as-mud densities in the shadows. The D700 is better with this and uses something called active "D-Lighting" that lets you select the amount of dynamic range adjustment on the images. You have the choice of intensity or an Auto setting. You can see the difference, though it is not a miracle worker and you still have to be careful, esp on bright sunny days. Menu - A nice improvement over the D200's. Things seem better organized and it has a configurable screen called MyMenu for adding and subtracting your own favorites. The 700 also has a button on its back to show you all your current exp settings on the LCD screen, excellent for night shooting when setting up. Construction - Have already been caught in a sand storm, and the 700 came out of it in very good condition. I notice a slight bit more resistance when turning the power knob, but otherwise, it's fine. Eyelet Curtain - The 700 has a curtain that you can engage to prevent stray light from entering into the eyelet, which can possibly fool your meter or fog your image. Flash - Handy built-in flash (YES, it is good to have this, because you don't always have your big bulky SB with you). Easy ability to add or subtract power to the flash. Good results (for an on-camera flash). Wireless trigger "Commander" mode. In-Camera editing - Not something you do seriously, as software is much more powerful. But when you're sitting somewhere after the shoot and are struck by the need to be creative, it does the trick. This creates a duplicate image BTW, not affecting the original image. Weight and Size - I was expecting it to be bigger and heavier than the D200, potentially bad because the 200 was big enough. The D700 seems almost exactly the same size and weight as the 200, which is acceptable. Noise - Seems quieter than some other DSLRs. Battery Life - Seems better than the D200's. View Live - It works, for those who want it (to me, it's just a waste of energy). LCD Screen - Big enough and very bright and detailed. Speed - Very good picture quality at high ISOs. Almost no difference between shooting 200 and say 800. Very reasonable quality at the higher ISOs of ~ 2000 to 3200. Have not tried its max value 6400 yet: it can actually go even higher if you want, with a grain/color warning from Nikon (same when setting slower than 200 ISO). Viewfinder - I think its specs say 95%: I really wish it showed 100% of the frame in the viewfinder. Even the D300 shows more than 95%. No Voice Memo - Wow I wish the 700 had this... But you have to bump up to the D3 for it. Memory - Only uses CF Type 1 memory cards. The cheaper D300 uses both Type 1 and Type 2. Lens - There are very few modern full-frame (FX) lenses out there. The D700 auto detects DX lenses and switches to that mode whenever one is mounted, but that of course negates the purpose of buying the D700. Bought the D700 because I needed a full (35mm) frame (FX) digital SLR. Plus I wanted a little better dynamic range than the D200 offered, which I owned. 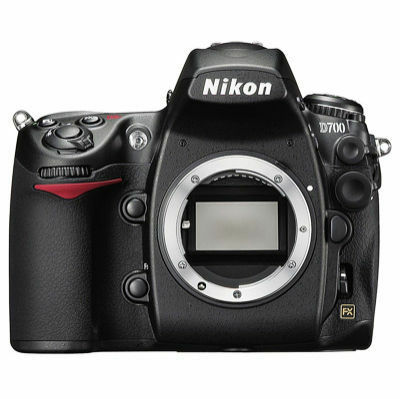 The D700 is a very solid, well-rounded camera, and you would be very hard-pressed to find any major deficiency! Besides the price there's almost no reason not to get it if you need a full frame DSLR. The only reason I could see you going in another direction is to get an "S" version which allows for insanely high ISO values, which you might want if are a serious sports or low-light nature photographer. 4) Great low light performance at price point (D3s now trumps the D700 at the high end). 7) Large size with grip -- fits my large hands very comfortably. I'll mention right off that I love this body. I shoot and edit hundreds of frames everyday on this camera and love the image quality in the images. The low light light (high ISO) performance is awesome for bodies in this price range. The image quality is as good or better than the 5DmkII in every situation. Most of the time -- very good. But when they don't get things right the customer service is truly awful. I'm pretty mellow and love working as a full time professional photographer after years in the design industry but getting told they can't find my equipment that they have been servicing, then getting hung up on and being subjected to the service operator whining in Spanish after I ask to talk to a supervisor -- is not professional and very, very, very poor customer service. Build quality is excellent, it is compatible with the whole of my Nikon system. It also uses the same sensor as D3 in a better sized body, and is good enough for regular Professional use. Quite heavy in use, but much lighter than a D3. The dedicated function button is a little close to the depth of field button. A fine Camera for low light situations where a tripod is not available. fussy man dial at the rear which keeps trying to show me shooting data when im flicking though my shots. The d700 while im still getting used to it, is proving to be a wonderful image capturing device. i love the full frame with no crop,on my lenses. the iso settings are brilliant and up to 3200 i cant complain. the controls and buttons are pretty easy to get around and alot of the menu is similar to the D80. 1) A smaller/lighter body. I realize that the D700's bulk is the price to pay for the larger sensor and more resilient body, but I like to travel light and the D700 is noticeably more massive than my previous cameras. 2) Inexpensive wireless remote. I love the tiny ML-L3 wireless remote that I used on my D70 and D80. The wireless solutions that I've seen for the D700 are expensive and bulky and often require the use of the hotshoe. 3) SD cards. I realize that CF cards have better performance, but SD cards are fast catching up, and I've always preferred the smaller, pinless format of SD. I guess I've experienced too many bent pins. The first thing I noticed about the D700 was its bulk. Even though its dimensions aren't that much bigger than my previous 2 D-SLRs (D70 and D80), the D700 feels a lot heftier and solidly built. The button layout is more complex than the lower grade cameras so this isn't a camera that I'd recommend to a beginner unless they're ready to spend some serious time going through the 1-inch thick user manual. Fortunately, coming from the D80, the menu systems and button symbols are easily recognizable. And the fact that all the major functions have their own buttons is a definitely plus compared to the sharing of buttons of my previous cameras. This may not be a popular opinion, but I love the inclusion of the built-in flash. I own a hotshoe flash that I use for serious shoots, but in a pinch, it's always nice to have a built-in flash for fill flash or wireless commander for all those times that you want to travel light. Simply stunning. The details and noise at ISO 12800 looks similar to ISO 1600 on my D80 (I've uploaded some comparison shots to my album: www.fotop.net/teruphoto/D700). It's an absolute pleasure to have a camera that gives me the freedom to work with existing light without having to compromise image quality. Having shot on DX format for some time now, I'd forgotten what DOF (depth of field) looks like in Full Frame. The background of my f/1.8 photos are beautifully creamy. I find myself playing with DOF more and more ever since getting this camera. In terms of the 12MP "limitation" that some people complain about, I consider it a con only if you need the extra pixels. I've seen poster sized prints made from the D700 that were more than detailed enough for my tastes. But if you constantly need to make huge prints with fine detail, than 12MP might be a limitation (and you probably should be looking into medium format cameras). IMHO, I'd rather take the 12MP with amazing ISO performance. I'll have to experiment a little more (I've yet to try sports/bird photography), but from what I've experienced so far, the focus is fast and accurate. To be fair, I'm comparing this to the performance of my D80, so it's not exactly an even playing field. I used to prefer using single point focus, but the accuracy of the D700's focusing makes me want to use the Dynamic area mode more often. The D700 is my forth Nikon digital camera in the last 4 years and is by far the best of the lot. I started with the D70 add a D2h for sports and replaced the D70 with a D200 in 2006. When the D700 full frame Nikon was announced I knew I would have to give it a try. I had no idea I would do it so soon. I had planned to purchase it in mid 2009 but moved up the date when the price came down faster with the rebate than I had anticipated. i think it was the best decision in camera purchases that I have ever made. The D700 has everything I could ask for in a digital camera. Fast reliable focus, accurate exposure metering and easy to manipulate controls. Menus are simple to understand and easy to navigate. The addition of the grip gave me the advantage of vertical shutter release and 8fps which is more than adequate under most shooting situations. The incredible low noise at higher ISO settings enables me to shoot available in venues that I have never been able to in the past. I had gotten use to the crop factor of the DX sensors but must say that I quickly readjusted to the full frame formate. It's great having the wides act like wide angles again. Now if I could just afford a 300 f2.8 all would be right with the world. No need for customer service with this camera yet but have with the D70 and the D2h. Nikon service was fast and dependable both times. Quick turn around and problems completely resolved at no cost both times. I use the Nikon D700 for low light engineering type situations and I find the quality of image is very good using a higher ISO number to compenstate for low or close to no available light. I have used it in situations where flash photography is not allowed. The large sensor is very versatile and captures the image detail perfectly. My portraits have drawn very favourable comment and copies are keenly requested by the model or their friends. A very good example of the Nikon D700's quality is in the sports photography area, I'm not an expert in this field, but, I have used it at a car rally event and got some very dramatic freeze-frame shots using panning effectively. All-in-all an excellent performer for my needs. I love it. Having used a beautiful Canon T90 for many years, with great results, I switched to a Nikon D200 three years ago. I found it to be a very good camera. I got bitten by the digital bug and earlier this year I went for a Nikon D700 and I absolutly love it's 5 star quality. It is a good, heavy camera that feels great and comfortable in my hands. It is not cheap, but, then for quality you must pay a little extra. I have used it for landscapes, engineering and portrait work. I use a Nikkor AF-S 24-70mm 1:2.8G ED Lens and a Nikkor AF-S 70-200mm 1:2.8G ED VR Lens. The quality of print - 30cm X 40cm for my landscape work is outstanding. At purchase the dealer's representative was fantastic. Very helpful and was fully immersed in wanting me to really appreciate the D700 strenghts. He explained all controls and operational details fully. No service requirements to date. Nikon D200 for three years. Mainly it's the big sensor and incredible ISO performance. I've been able to shoot at ISO 1600 and get completely clean results, and at ISO 4000 in fair-good light only requiring a little cleanup to use. The burst speed is good as is, and great with the battery grip. Standard 35mm lenses now have correct zoom ratios, where on older cameras like the D200 they had a 1.5X crop ratio due to the smaller sensor. What this means is a 50MM lens is really 50MM again rather than acting like an 85MM. Lenses intended for DX cameras (D200, D50, etc.) will work on the D700 but are essentially wasting half the sensor space. Ultra wide angles (like the 12-24mm) will end up vignetting to the point of making a circle at 12mm. On the other hand, a cheap Tokina 19-35mm is now an ultrawide with almost the same coverage and it looks better to boot. The D700 will work with older AI and AI-s lenses, non-AI lenses have to be modified to use and WILL damage the camera if mounted otherwise. So all those old manual focus gems can also be used. I've tried everything from a 55mm f1.2 to a Russian "Arsat" 80-200mm and they work fine, just remember the warning about non-AI mounts and program the lenses in the menus. The camera has a hefty body with metal frame, and is built to last. The LCD is 3 inches diagonal and visible from a wide angle. The battery grip is a little different, it only has one extra battery in it and works in conjunction with the one already in the camera. This is actually an improvement as you no longer have to take the battery door off and stow it in the grip, just a rubber plug for the contacts. It's expensive, but worth it if you need it. The camera is heavy and best for people with big hands. It's easy to get spoiled when using it, noise becomes an issue at ISO 5000, but by comparison my D200 had a practical limit of ISO 1000 before images just simply couldn't be cleaned up. It needs the old style full frame lenses, so if you've bought all DX in the past few years you're not out of luck but not really using to to potential. The RAW format is new and not all image editors support it...yet. Picasa just started with Beta 3. It's not very good for infrared (IR) work. With a Hoya R72 filter It will take pictures by brute force (highest ISO settings) but you will finally being seeing lots of noise. This will not affect 99% of the photographers out there. While expensive, this is probably the best purchase I've made in cameras, and which I'll hope to keep for several years to come. Haven't had to use it yet.